" title="nurse" /> won't do! "The typical fantasy in this period of rumours" - Renato Bisignani, Ferrari's communications boss. Aug.1 (GMM) Ferrari has dismissed as "fantasy" reports a lucrative 2014 offer has been made to former team driver Kimi Raikkonen. Those reports had followed suggestions the Maranello based team might lose its current number 1 driver, Spaniard Fernando Alonso, to Red Bull. But Ferrari's communications boss Renato Bisignani told Brazilian newspaper O Estado de S.Paulo the rumours are "the typical fantasy in this period of rumours". "There is not the slightest foundation," he insisted. "We are united in this moment of loss of competitiveness and confident in the return to better ways." Germany's Auto Motor und Sport, however, reports that Raikkonen's manager Steve Robertson was spotted entering Ferrari's motor home in Hungary. Bisignani added: "For the German journalists who called us about the (Raikkonen) news, we officially deny it." A Ferrari spokesman was quoted elsewhere as insisting rumours about Ferrari quite often turn out to be completely untrue. "For all those with short memories," he is quoted by DPA news agency, "only a year ago everyone came up with a list of drivers who would replace Felipe (Massa)." Meanwhile, Bisignani played down any suggestion its running at Magny Cours this week might be compared to Mercedes' highly-controversial 'test-gate' test. "We have been testing for two days with our 2011 car and the Pirelli demonstration tyres," he confirmed. "The FIA was informed in advance of all the details, and (Ferrari) meets the requirements to be able to do it." He added that the main goal of the test was to collect "data for several new programmes of the simulator". Although Ferrari has denied it, Kimi RÃ¤ikkÃ¶nen has really negotiated about a contract with Ferrari. According to SuomiF1-website RÃ¤ikkÃ¶nen has already signed the contract with Ferrari, but these claims have not been confirmed yet. According to Sport Bild RÃ¤ikkÃ¶nen would had got an offer from Ferrari and most sources think it's true. One thing is certain, RÃ¤ikkÃ¶nen's manager Steve Robertson negotiated in Ferrari's premises during Hungary weekend and Alonso's manager Luis Garcia Abad went to negotiate in Red Bull's premises. Like normally both parties denied the claims, but in F1 rumours and evidence by eyewitnesses have traditionally been more reliable than official statements. RÃ¤ikkÃ¶nen himself said in Hungary that someone might think his decision is stupid, but he thinks he does the right decision. At that time nobody could expect RÃ¤ikkÃ¶nen would mean Ferrari. Red Bull is choosing Daniel Ricciardo, but they are also looking at the Alonso-card. Apparently Alonso doesn't want to drive in Ferrari as Kimi's teammate and that's why he is fed up with the team. Ferrari will get funding from elsewhere, hence they can afford to get rid of Alonso and Santander-bank's support. If RÃ¤ikkÃ¶nen goes to Ferrari, then he might get Nico HÃ¼lkenberg or Jules Bianchi as his teammate. Ferrari won't renew Felipe Massa's contract after this season. Ferrari aren't great aerodynamically and still have wind tunnel problems, and they seem to be the cheapest out of the engine manfacturers so I doubt they'll have the best engine. I really wouldn't want to be a driver choosing where to go when there's going to be a big shake up in car performances. I thought this could happen but I really hope is not true, specially if Alonso stays. If you read that SuomiF1 article closely: it's almost hard to believe an editor would allow that to be published. It rescinds its statement about Kimi signing the contract by admitting it can't be confirmed. The Alonso to RBR, Kimi to Ferrari rumors are based off of where the managers walked to during Hungary. Really?! We hadn't heard anything about Alonso/RBR or Kimi/Ferrari prior to Hungary.. And now these stories are being highlighted as truths and confirmations right at the peak of silly season? " title="hmm" /> Sounds a little coincidental. This is bunch of rubbish rumours. This small website claiming they knew all along that Kimi has signed with Ferrari and "look Blid is now also reporting it" but when you look at their history they have never reported anything of the sort before. And we are not hearing anything from from a more reliable source like Heikki Kulta. And then the reports is to replace Alonso not Massa. That just doesn't make sense. Alonso manager said there is no out clauses for Alonso, he has to drive for the team that Santander sponsors. In other words he has a contract with Santander. Stantader and Alonso doesn't have any issues with each other, they are a Spanish bank they want Alonso. And Stantander also said that they dont want to sponsor any other team, they are happy to sponsor Ferrari even if Ferrari doesn't win. So Alonso and Ferrari are stuck with each other for better or worse. As an1th said it wouldn't surprise me if Kimi has already signed a contract. You can see he is happily on holiday right now. We cannot help wondering what would happen if Kimi Raikkonen told Ferrari president Luca di Montezemolo to leave him alone, he knows what he is doing. Pekka Franck who is the reporter of the website claims he has a long time friend in Italy. Then again he called to Sport Bild and they claimed their news source is finnish,close to kimis circles. That alone tells me,no one close to kimi would reveal something like that. Heikki Kulta is quiet, I suspect he is making either checkups or he is playing along kimi. 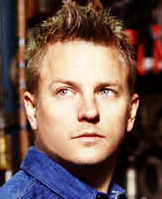 I would not entirely turn this down...but it would really be a public apology from ferrari if they hired kimi. And for kimi?